I can’t remember exactly what they were doing here (the picture is a few years old), I think it was some work on the pagodas. 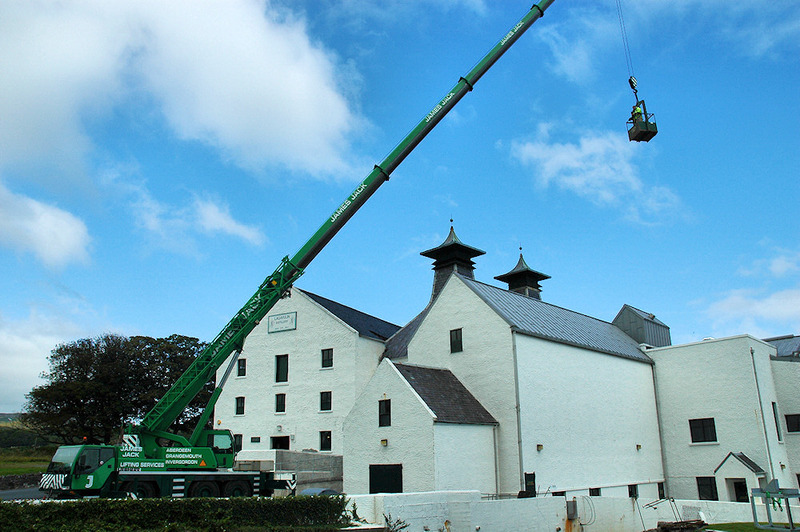 This is of course Lagavulin distillery on the south coast of Islay. This entry was posted in Cloudy Weather, Distilleries, Landscape, Repost, Sunny Weather and tagged Islay, Lagavulin by Armin Grewe. Bookmark the permalink.